Embark on a journey + reclaim your sovereignty. During a time of revolutionary spiritual leadership, tune in for authentic conversations with spiritual teachers and thought leaders alike, living their truth and inspiring others to do the same. We are here to bring back and anchor the humanness in our spiritual experience here on Earth through vulnerability, compassion, + authenticity. As we live our life from our fullest, most authentic expression, we allow ourselves to be the light in the world. As we go forth and become our own guru, we are blessed with the opportunity to infuse love where needed most. 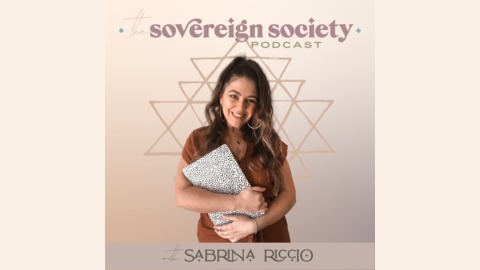 The Sovereign Society Podcast is your place to discover spiritual principals, self-care practices, divine guidance and rituals from those who’ve been on the path to reclaim their sovereignty, their truth, and their light. 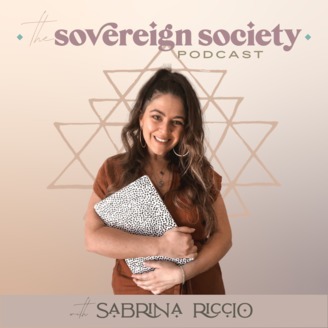 With a mission to catalyze and anchor a conscious paradigm shift, Soulistic Alchemist, Paradigm Shifter, and Aquarian Priestess Sabrina Riccio, has gathered here to share personal insights, as well as authentic conversations with modern medicine women, cosmic dudes, and entrepreneurs alike to inspire you to stay true to the voice deep within your soul, uplevel your human experience, and radiate your authentic radness. As we come together and have the courage to share our medicine with the world, you’ll discover what it takes to overcome your fears, listen to your intuition, practice radical forgiveness, design a business and life that supports the highest good, unapologetically let your freak flag fly, and how to stand up and gracefully share your medicine with the world. Join us as we explore topics such as entrepreneurship, spiritual activism, conscious living, spirituality, leadership, self-love, yoga, wellness, personal development, Kundalini Yoga, the Divine Feminine, the sacred reunion, meditation, psychedelics, self-help, inspiration, consciousness, relationships, metaphysics, and self-empowerment. Dive in deeper by visiting www.sabrinariccio.com.